The Quality Inn hotel in Springboro, OH gives you more value for your hard-earned money. 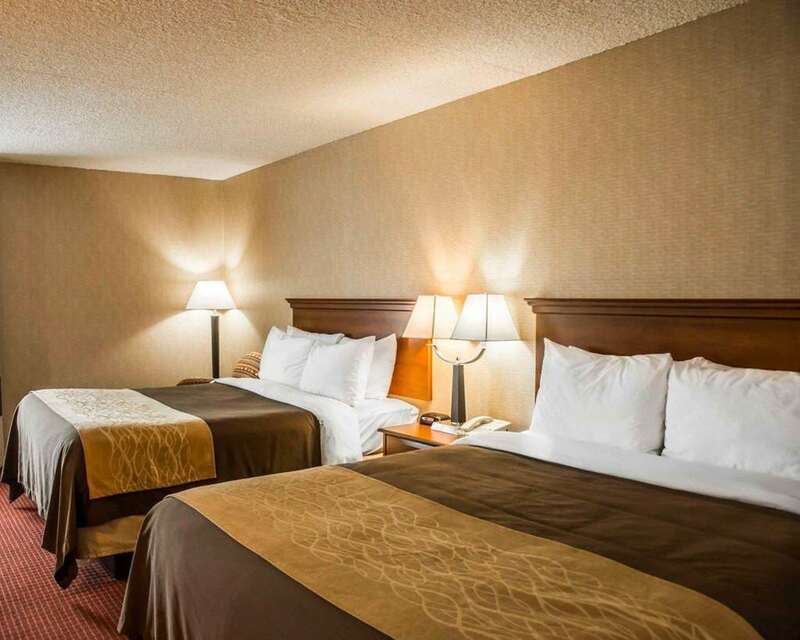 Our pet-friendly hotel is near Dayton and Kings Island and close to University of Dayton, Wright-Patterson Air Force Base and Kingdom Sports Center. Our valued guests enjoy amenities that include free hot breakfast, free WiFi, free weekday newspaper, an indoor heated pool, fitness center, meeting room, valet cleaning and copy and fax services. Each comfortable guest room features a Flat-Screen TV, microwave, refrigerator, coffee maker with free coffee, hair dryer, iron and ironing board. Select rooms include a a hot tub. Also, earn rewards including free nights and gift cards with our Choice Privileges Rewards program. Freak oddities collected by the founders of a local history museum are among its most popular relics. Also on display: cow hairball.